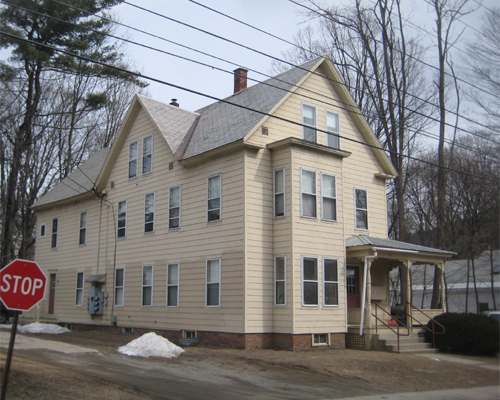 N·B·F Architects provided Architectural Design services for the rehabilitation of five properties located in Brattleboro, Vermont. 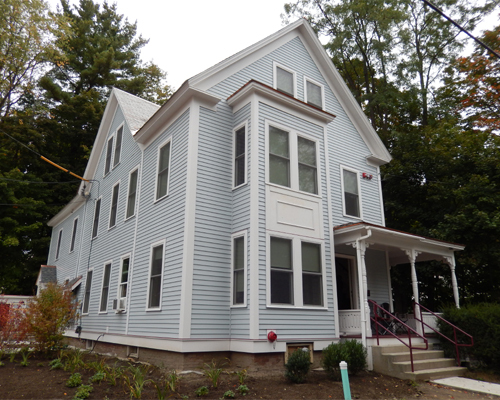 The renovations were part of a three phase project through the Windham & Windsor Housing Trust and included civil, structural, mechanical, and electrical work provided through our consultants. 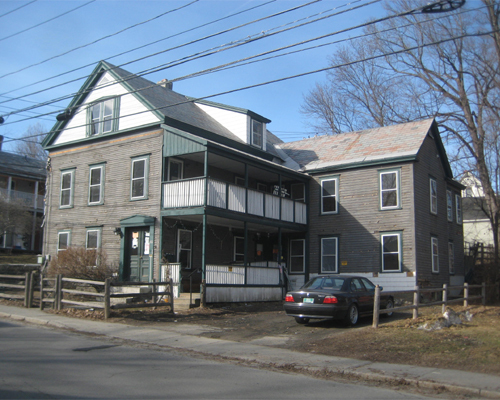 The two neighboring properties located on Green Street, images shown, received the most significant upgrades during the project. Photograph of existing building prior to renovations. Interior renovations to the two buildings included modifications to the floor plans of the apartment units, new kitchen cabinetry and appliances, and updated finishes throughout the building. Work to the exterior included new windows, insulation, siding, and enhanced site work features such as revised parking, added patios, and new landscaping. Asbestos siding was removed and the original siding below was photographed prior to being removed to expose the existing sheathing below. 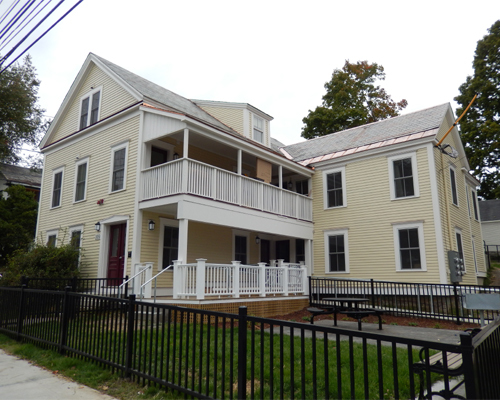 New rigid insulation and water deterrent membrane was installed along with new wood siding and trim that retains the details of the building’s original siding.